Shimmer stylishly in Tacori earrings from the Sonoma Mist collection. 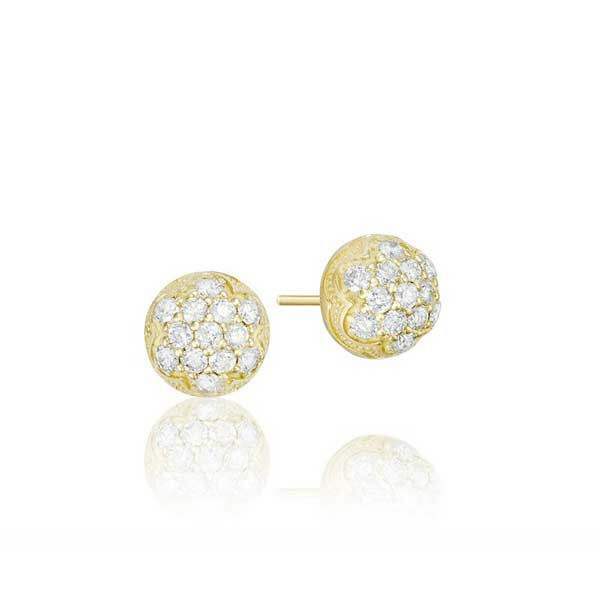 Each earring is crafted in a dome of 18K yellow gold with scalloped edges and milgrain detailing. Within this design, pave diamonds sparkle brightly against the golden surface while post backings keep this set comfortably in place. Enjoy this pair of Tacori earrings on any occasion.